The team at the Wisconsin Public Health Association wishes you peace, joy and prosperity throughout the coming year. We wish you and your loved ones the very best this holiday season. Also, an astounding THANK YOU to all of our members for your support. partnership, and work to create healthier and safer communities. We look forward to working with you in the years to come! It’s been a year already since I succeeded Linda Conlon as President of WPHA. To say it’s been a pleasure to serve as your president this year is certainly an understatement. What a great year! My vision for WPHA was to grow the organization’s diverse membership to represent all of Wisconsin’s public health systems. 2017 has flown by and great things have happened. I want to report back to you, our members, on what I feel are the highlights of WPHA accomplishments of 2017. (Click here for the full President's message and the 2017 Highlights). This organization has been enriched by the talents, skills, knowledge, and passion of you, as WPHA members. Your advocacy efforts were (and continue to be) greatly appreciated as we are making an impact on public health policy. All of us can be proud to call WPHA our professional organization, a premier organization for public health leadership in Wisconsin. 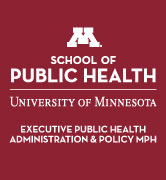 WPHA will continue to strive to meet your needs as we move forward in the ever changing world of Public Health. I look forward to working with the incoming president, Kristen Grimes, in 2018. Thank you for the privilege of being your 2017 WPHA President! If you haven't, take some time prior to the end of the year to renew your 2018 Membership. Don't let your member benefits lapse! Your membership is important to continuing to move public health forward in Wisconsin. According to our records, your membership expires: @@membership_exp_date@@. Regular communication from the Association to keep you up-to-date on issues of importance to YOUR profession! Legislative updates and representation from WPHA's government and lobby team - working to build a healthier, safer Wisconsin for all! View Full Organizational and Regular Member Benefits Here. Login to your member profile to renew your membership. Please contact the WPHA Office if you need assistance with your password. Don't forget organizational membership provides staff and employees a $25 discount on their membership - a great employee benefit! Contact the WPHA office if you have any questions. 2018 Annual Conference - Time to Book Your Room at the KI Convention Center! Thank you to all of you who shared and submitted an abstract for consideration - we have received nearly 100 submissions! You will not want to miss the 2018 Annual Conference, May 22-24, 2018 at the KI Convention Center in Green Bay. The planning committee will review abstracts and presenters will be notified in February! It's never too early to reserve your guestroom today! - Rooms are expected to sell out! *When making your reservation, tell the reservation agent that you are booking a room under the Wisconsin Public Health Association. Vendor Prospectus Available! Click here for FULL details or visit the WPHA website to register today! Sponsorship packages are limited, so please act fast! Another year is just around the corner and so is another floor period in the Wisconsin State Legislature. Beginning Tuesday, January 16th, both houses can begin scheduling days to vote on legislation. This is typically a very busy and fast-paced time as lawmakers try to get bills passed before the legislature adjourns. Once session ends, legislators transition into campaign mode for the election in November. The next legislative session will begin in January 2019 when the legislature is officially sworn in. WPHA has officially registered a position on 35 bills with the Wisconsin Ethics Commission so far this legislative session. Of those bills, 8 have been in opposition and 26 are in support and 1 is neutral. The one neutral bill is AB 507, also known as “The Lemonade Stand Bill.” WPHA was originally opposed to the bill, but changed our position once an amendment was adopted to prohibit the sale of potentially hazardous foods. There are many other bills the government affairs team is monitoring that have not been officially registered, but the bills remain of interest to the organization. Please take a look at the Legislative Grid (which is updated every month) on WPHA’s website for more details on bills of interest and their status. 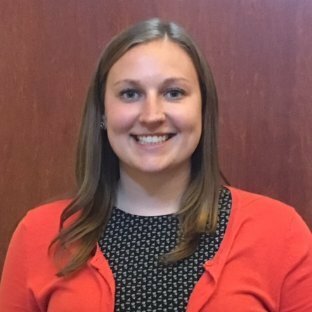 On Friday, December 8th, Governor Walker appointed Heather Smith to the position of Medicaid Director and Administrator of the Division of Medicaid Services. She previously served on his legislative and policy team and worked for Joint Committee on Finance Co-Chair Alberta Darling. WPHA President Nancy Eggleston sent a letter to Heather congratulating her on her appointment (below). Our government affairs team will be working on scheduling meetings with Heather and WPHA leadership in the coming months. Click here for the full December Legislative update. Please click here for the updated Legislative Grid. Make a Year - End Donation to WPHA Today! 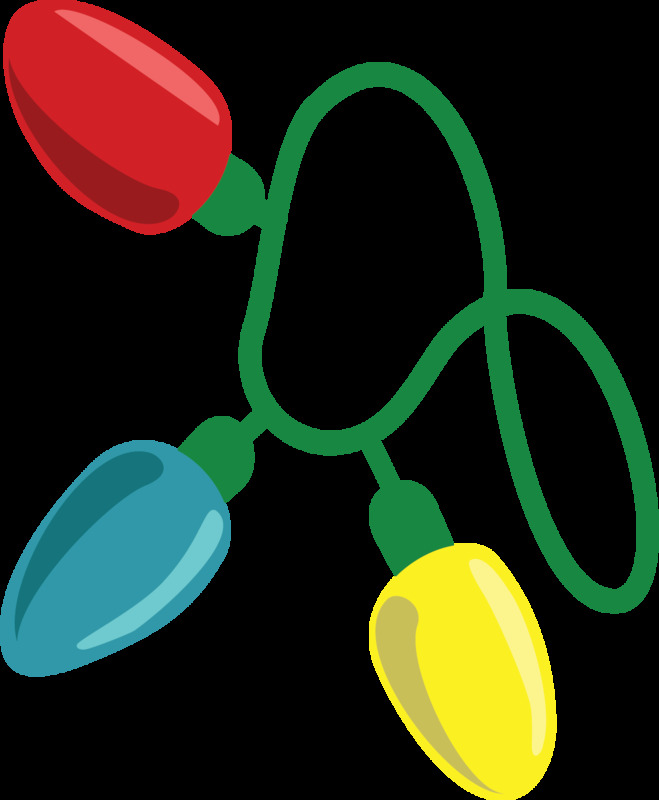 In the spirits of the holidays, consider donating to the Wisconsin Public Health Association. We really are blessed here in Wisconsin to have a great team of public health professionals moving the needle forward on public health issues and concerns. Please consider giving a tax-deductible donation to WPHA. Donate today! Additionally, Geof Swain and Jan Klawitter were elected to the Nominating Committee for two and one year terms, respectively. Congratulations and please join us in welcoming our newly elected board members! A complete list of current board members can be found here; the updated list will be available in early January. We also are currently recruiting for a Public Health Nursing Section Chair Elect, and a Public Health Dental Hygiene Section Chair. Please contact the WPHA Office if you are interested in these positions, or getting involved in other capacities! WPHA Awards - Nominate A Colleague! The WPHA Awards Committee is currently seeking nominations for awards to be presented in 2018. The Awards Committee accepts nominations throughout the year; however, for a nomination to be considered for 2018, the deadline for submission is Friday, April 6, 2018. For more information, go to the WPHA Awards website. WPHA Mentoring Program Spotlight - Consider Becoming a Mentor or Mentee! The WPHA mentoring program is a resource for public health professionals – new and experienced – to learn and grow professionally through one-on-one peer mentoring. When organizations support the mentoring of their staff, they can stronger job performance, reduced turnover, and a culture of continuous employee development. Find out more details about the Mentoring Program. 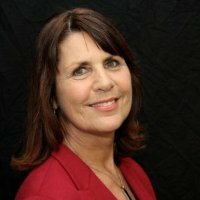 "I first met my mentor, Kim, at the WPHA conference in May. This was a great opportunity to get to know more about my mentor before we started our meetings. 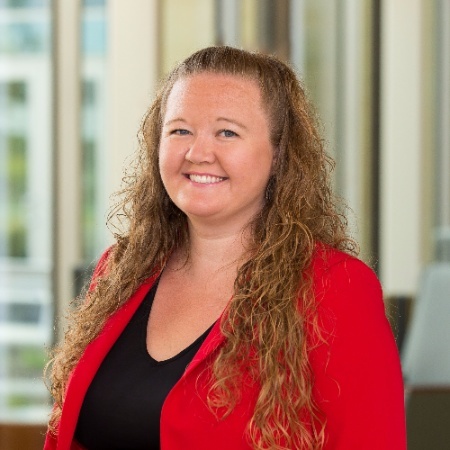 It was also beneficial to meet Kim at the conference because it was my first time attending and she was able to introduce me to a few of her colleagues and explain the makeup of WPHA to me." WPHA members are invited to submit resolutions and position papers that would provide a platform for the organization's future advocacy. Resolutions and position papers are shared with the membership prior to the Annual Meeting and acted on at this year's Annual Meeting is May 22 in Green Bay, held in conjunction with the Annual Conference. 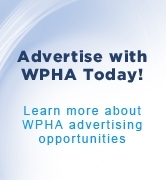 Previously adopted resolutions and position papers, along with format guidance, are on the WPHA webpage. Resolutions and position papers must be submitted by March 2, although late-breaking resolutions and position papers may be considered at the Annual Meeting. Please email your resolutions to wpha@badgerbay.co, or contact the office if you have additional questions. Call for Posters for the 2018 Annual Public Health Conference Open! Consider Presenting a Successful Program, Research or Project! The call for posters for presentation at the 2018 Annual Public Health Conference taking place May 22-24, 2018 Convention at the KI Convention Center in Green Bay, WI is now open. Posters will be on display on Wednesday, May 23 during the afternoon break as a poster preview and will be featured during the poster reception on Wednesday, May 23 from 5-6 p.m. 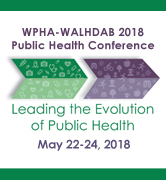 If you are involved in a study, project or program that would be beneficial to Leading the Evolution of Public Health, the Annual Conference Planning Committee invites you to submit your poster for consideration! Learn more and submit your poster abstract today! WPHA Members Greg Nycz and Matt Crespin will be on a panel in early January to discuss Dental Care for Underserved Populations. Reserve your spot today! As the integration of dental care and healthcare steams ahead, access remains an issue for many low-income and special needs populations. A Wisconsin Health News panel will examine what’s being done to address the challenge, as well as the implications of unmet oral health needs. To promote the synergy between economic development and health improvement. Communities that pay attention to the many factors that influence health will find their residents living longer, better lives and will increase their economic competitiveness, which is why WPHA supports the Wisconsin Healthy Communities Designation program. Communities that apply for and receive the Healthy Communities Designation will have a concrete way to acknowledge and celebrate their work to improve quality of life in their community. The application process is designed to boost existing health improvement efforts by providing guidance on the types of strategies and initiatives that have been shown to work, as well as by encouraging applicants to increase the degree of collaboration among diverse stakeholder groups in their communities. Visit the Wisconsin Healthy Communities Designation website to learn more about the program and the application process and timeline. Join us in San Diego, Nov. 10-14, for a career-inspiring and personally rewarding experience by submitting an abstract. We welcome abstracts from all areas related to public health, including those that coincide with the 2018 theme, "Creating the Healthiest Nation: Health Equity Now." Submit your abstract today! Oral Sessions — formal presentations to larger groups including Q&A sessions with the audience. Roundtable Sessions — small group discussion where presenters can speak directly to attendees in a more intimate setting. Poster Sessions — a visual representation of research and findings where presenters can interact one-on-one with attendees. You do not have to be an APHA member to submit an abstract. However, if your abstract is accepted for presentation, the presenting author must become an individual member of APHA and must register for the Annual Meeting. As an organizational member, please email wpha@badgerbay.co to add your events to the upcoming calendar and additional promotion! As an organizational member, don't forget to add your job opportunities to the Career Center at no charge. These jobs are viewed and clicked on over 300 times each month and sent to hundreds of public health professionals for viewing. MCW Engage 2019 - Cultivating Capacity. Strengthening Partnerships.